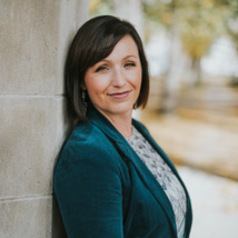 Allyson Stevenson is the Department of Politics and International Studies department Tier II Canada Research Chair in Indigenous Peoples and Global Social Justice at the University of Regina and will be teaching in the International Studies Program. She received her MA and PhD in History from the University of Saskatchewan. My research program involves documenting the emergence of global Indigenous self-determination movements following World War II. I will examine the internationalization of Indigenous rights through a global social justice lens by looking at the rights of Indigenous children, youth and women. My research program focuses on two key areas; comparative transnational Indigenous childhood and youth histories, and Indigenous women’s international political organizing for human and Indigenous rights. The research stream entitled “Re-placing Indigenous Children in the Center: Indigenous Kinship and Childhood in Canada, the United States, Australia and Guatemala” is an interdisciplinary project that looks at the diverse experiences of Indigenous children and youth after World War II. My second, and related, research stream for this CRC examines the emergence of Indigenous women’s international organizing for gender justice in Canada, the US, Australia, and Guatemala from a community-engaged Indigenous feminist lens. In partnership with Canada’s Native Women’s Association of Canada (NWAC), the International Indigenous Women’s Forum (FIMI), and Mending the Sacred Hoop in the US, I plan to examine Indigenous women’s organizing strategies and theoretical engagements in the advancement of women’s Indigenous and human rights. Through this project I plan to produce knowledge about Indigenous women’s transnational political organizing for gender justice, cultural revitalization, political empowerment and decolonization.